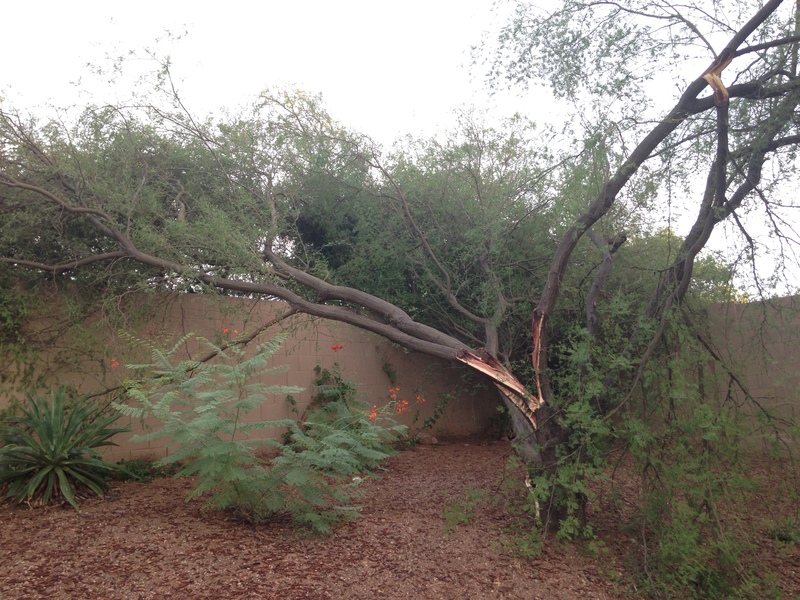 Rio Crossing residents felt the wrath of nature last Sunday, when two monsoon storm cells collided right over us. 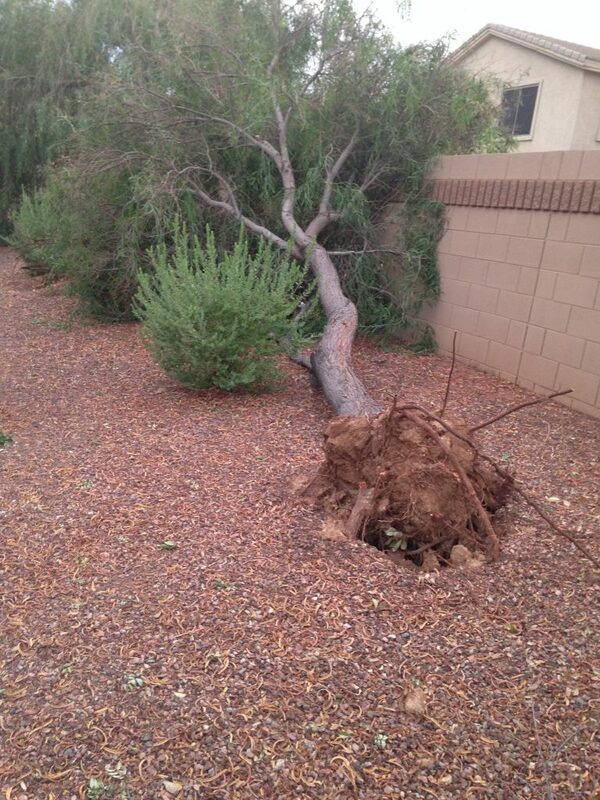 A number of trees were knocked down, on homeowner properties as well as association common areas. 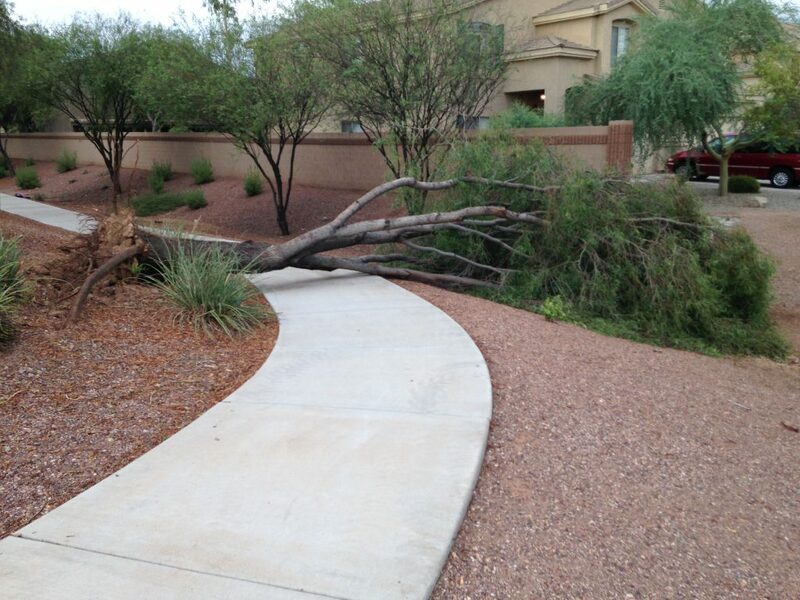 By Tuesday morning, our landscape company was out sawing up and chipping the fallen trees throughout the neighborhood. 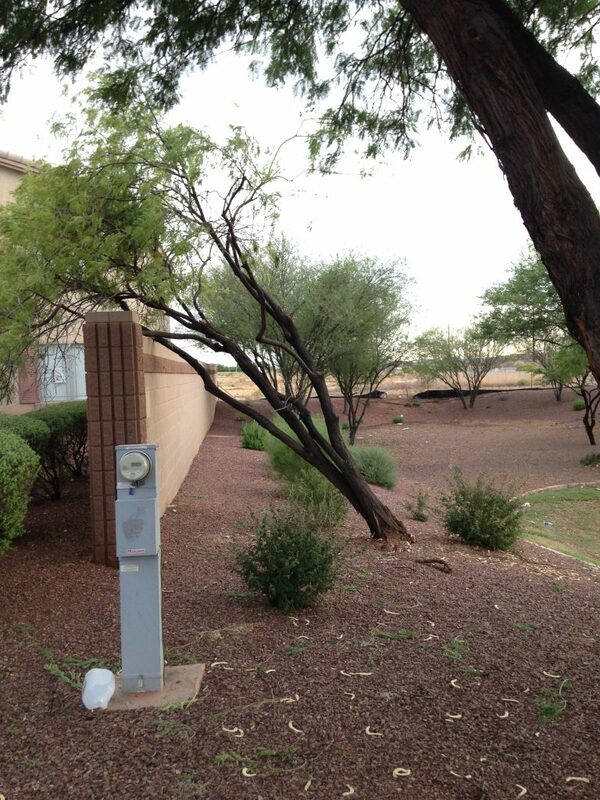 I have a weather station at my home, and my “weather buddy” Steve has — or I should say had — one over on Roma. 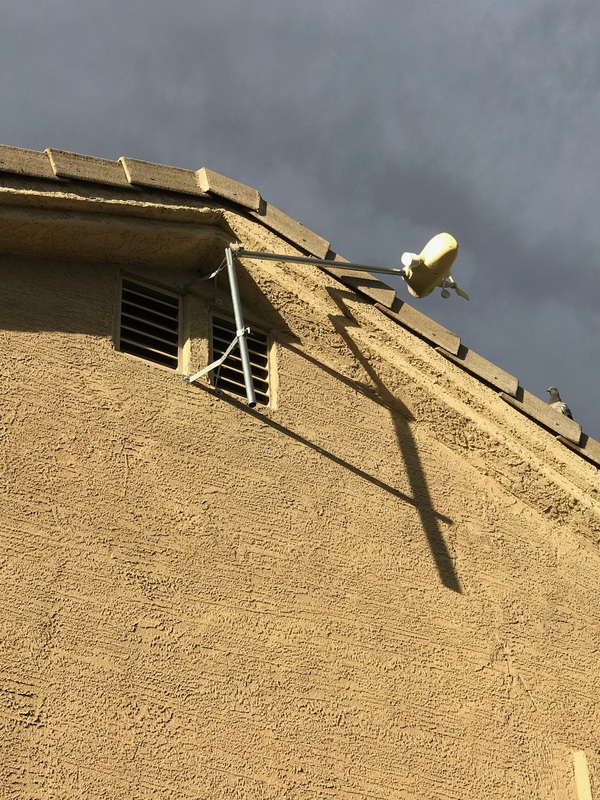 Near the start of the storm — when the major down-rush of wind normally creates the biggest gusts — my ground-level wind gauge registered a gust over 30 mph, but Steve’s roof-top mounted system registered a gust of just over 60 mph just before being knocked over. 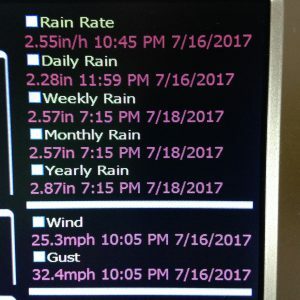 If you look at historical data from the Weather Underground site (WU is a partnership between The Weather Channel and IBM, and has information collected from Personal Weather Stations), you can see Steve recorded a steady wind of 50 mph and a gust of 60 mph (it’s not on the graph, but is in the Summary table). The data from my station for that day is here. 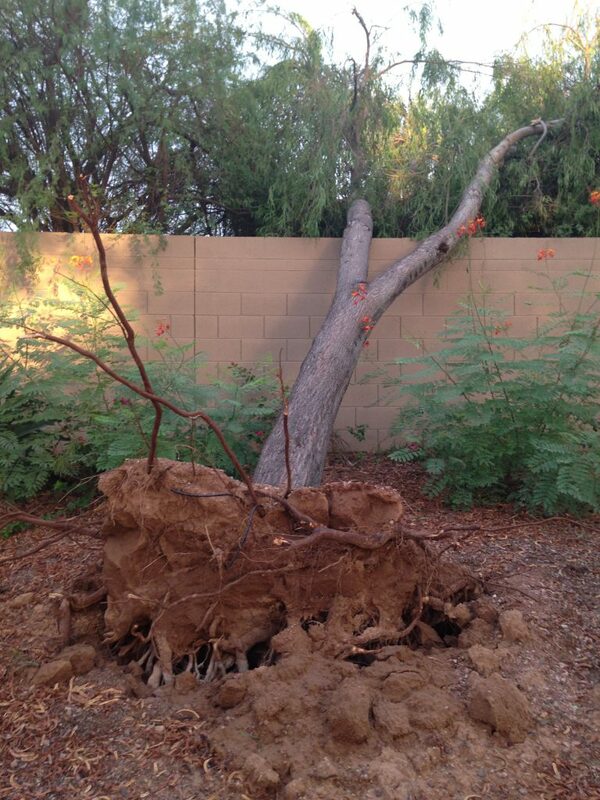 According to Somerset (our landscape contractor), there were 19 trees down in the community. I don’t know if that was just on Rio Crossing common area property, but I’m sure if you add trees that were severely damaged (but not knocked completely over), the number was a lot higher. 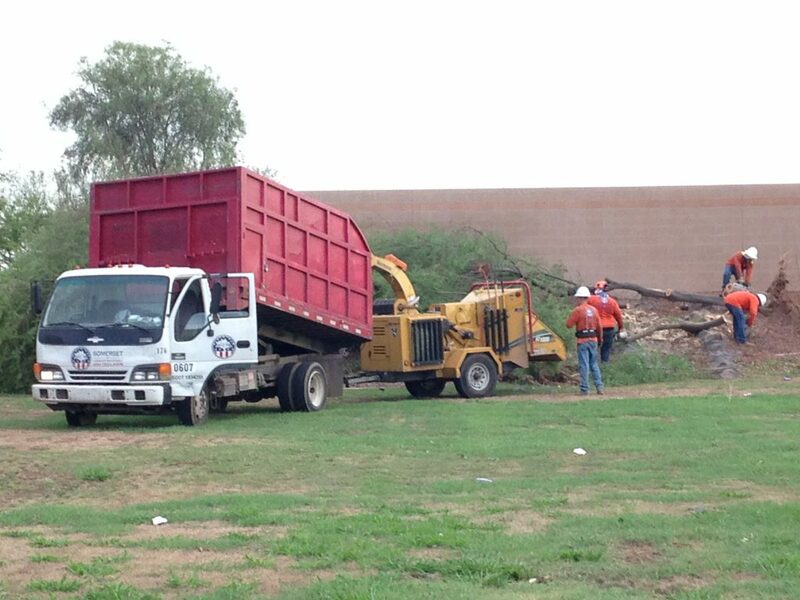 There were several trees along El Mirage that were leaning over against the wall, several in the green belt at the south end of the community along El Mirage, and a two trees against the back wall that separates Rio Crossing from Wigwam Creek near Roma and 124th. Along wall to Wigwam Creek, near Roma & 124th. 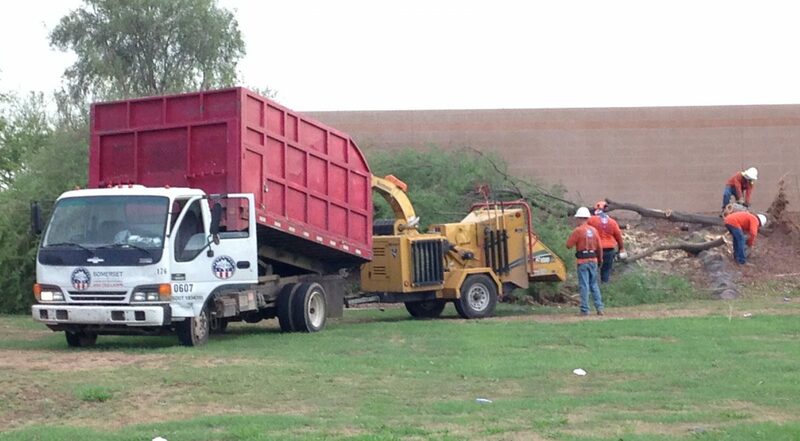 Somerset Landscaping chopping up a tree that fell near the City of Avondale water well, near the northeast corner of Rio Crossing. Along the wall near the first house on Highland, just off of the green belt near the City of Avondale water station. Along the walking path, between the two Meadowbrook cul-de-sacs. 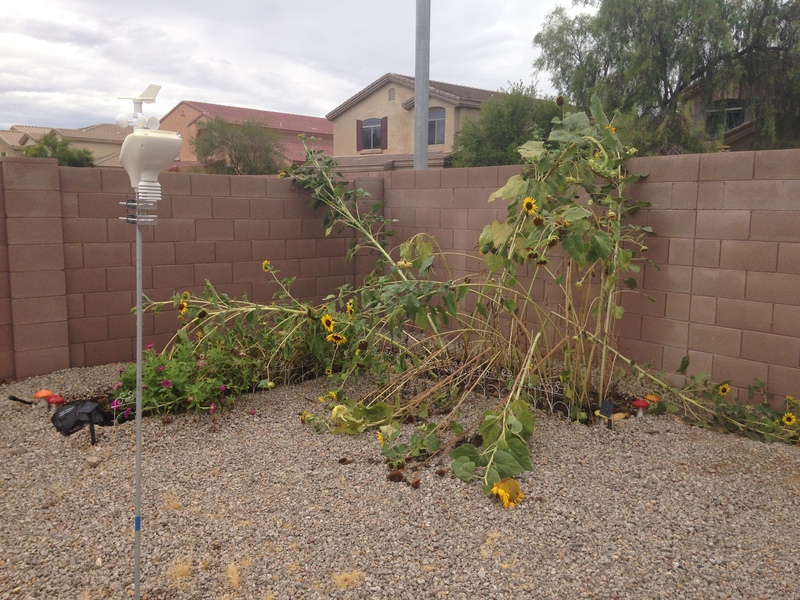 My weather station and the sunflowers, the day after the 30 mph gust and 2.5 inches of rain. A few people have expressed an interest in what is often referred to as “personal weather stations” like mine and Steve’s. 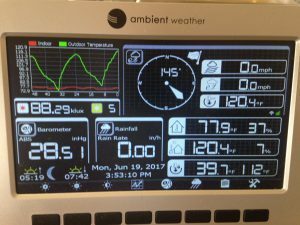 My station is an Ambient Weather WS-1001-WiFi, with Solar and UV sensors. It’s about $300 on Amazon. The main sensor unit, seen here with my poor sunflowers battered by heat and wind, is simply attached to a 6 foot section of conduit that has been pounded about a foot into the ground. That sensor unit has a small solar panel on it to collect electricity for day-to-day operation. It collected temperature, humidity, wind direction and speed, and sun intensity. There is another sensor unit for inside the home which collects temperature and humidity only. Both sensors report back to a small indoor display unit, shown here. In the upper left is a temperature graph, outside in green, inside in red. Just below that is sunlight exposure data, then barometric pressure. At the very bottom left is moon and sunrise/sunset information. 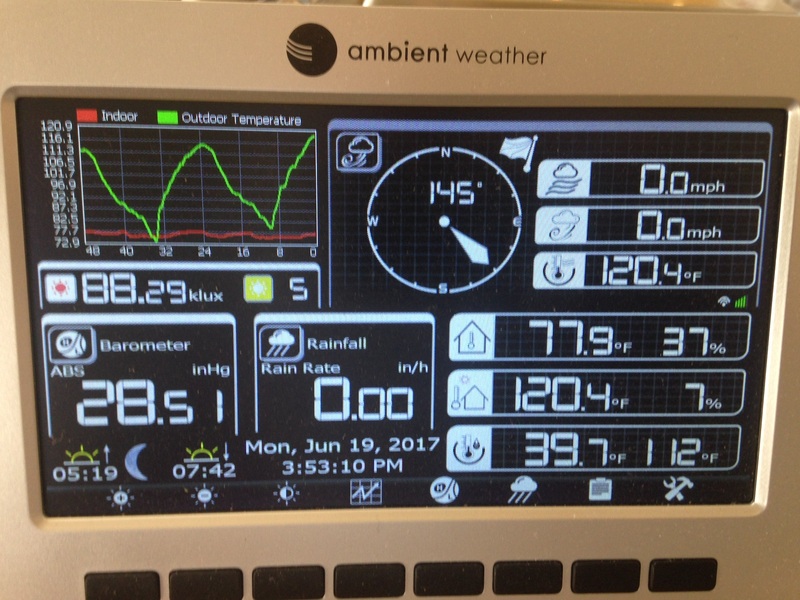 Over on the right side is the wind direction compass, the “steady state” wind and the “wind gusts”, and then various temperature and humidity data. Along the bottom are a few buttons which let you get to more information, as well as setup screens. 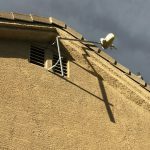 This unit connects to your home’s WiFi system, and after registering with the Weather Underground web site, will report data from your personal weather station to be viewable online. Partial view of the data available onscreen at the indoor display station. Here is a screen shot showing the rain and wind data as of this morning, where you can see the high wind and gust readings, as well as rain and rain rates — all from Sunday’s storm! 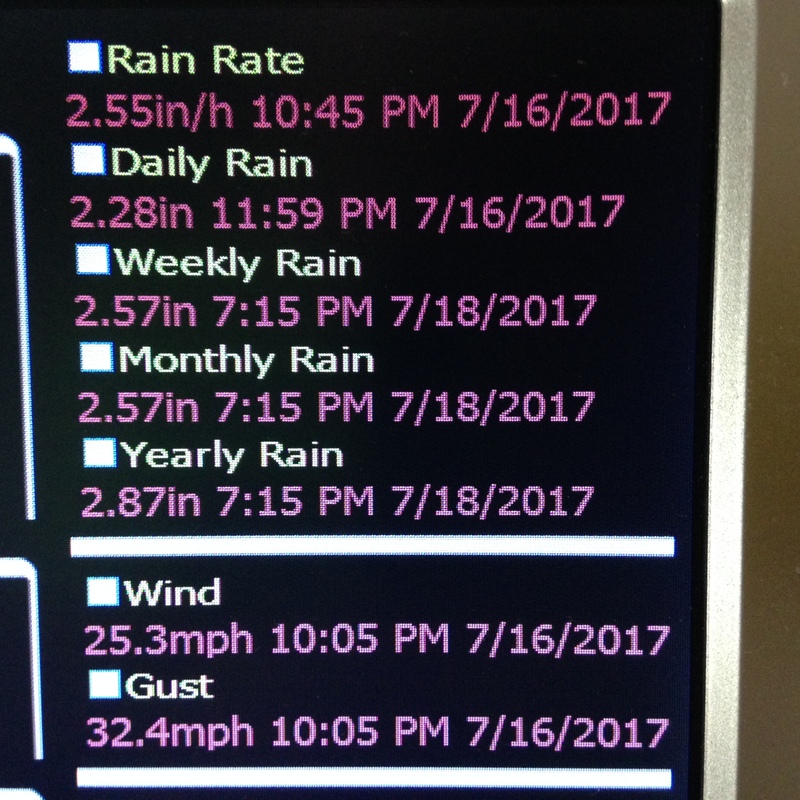 The “rain rate” – how fast the rain was falling at any one time – was 2.55 inches per hour, around 10:45pm. Down below, you can see the steady wind of 25.3 mph and the 32.4 mpg gusts both occurred at 10:05pm. The Daily Rain record was 2.28 for Sunday, but it continued to rain some after midnight, so the weekly and monthly rain count of 2.57 inches covers both days, plus the rain that fell last night (Tuesday July 18). 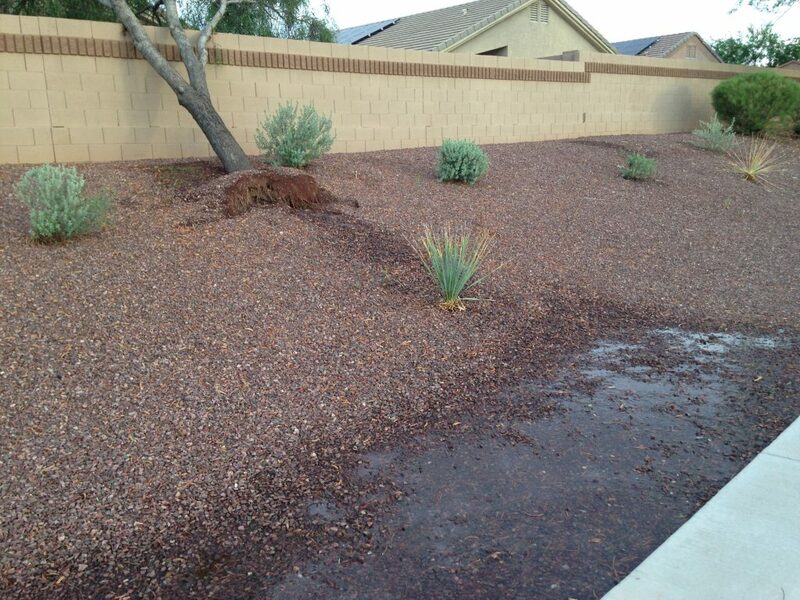 The Yearly Rain only covers back to the middle of March, when my station was installed. 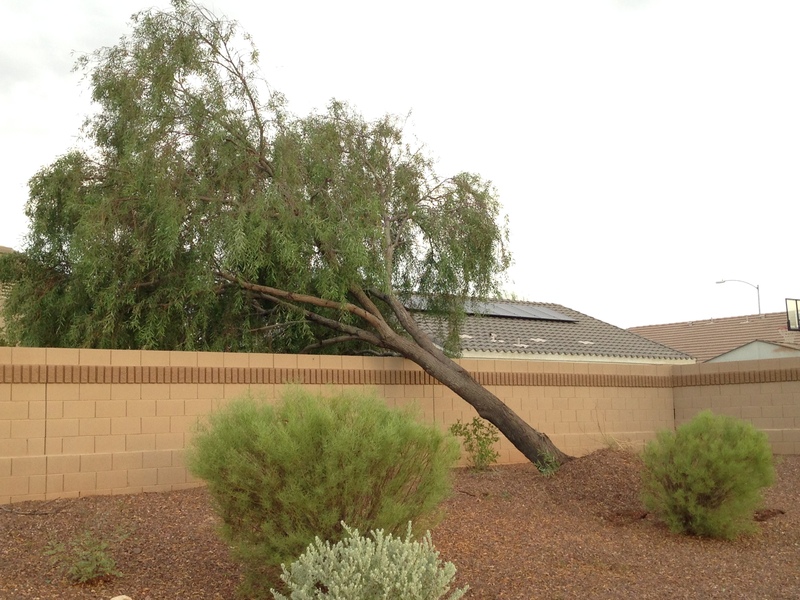 I previously had a similar station back in Arizona City, between 2011 and 2014, but it was blown down by a 45 mph gust just before we moved to Phoenix. We were renting for 2 years in the Ahwatukee area, and in a location where a weather station wouldn’t work very well due to hills and trees. After moving to Rio Crossing, my wife bought me this station for my birthday – knowing my interest in weather.